I’ve been busy… as a beaver. Ba-hahaha! I have a few projects in production, but one of my favorites is the commission I just completed. 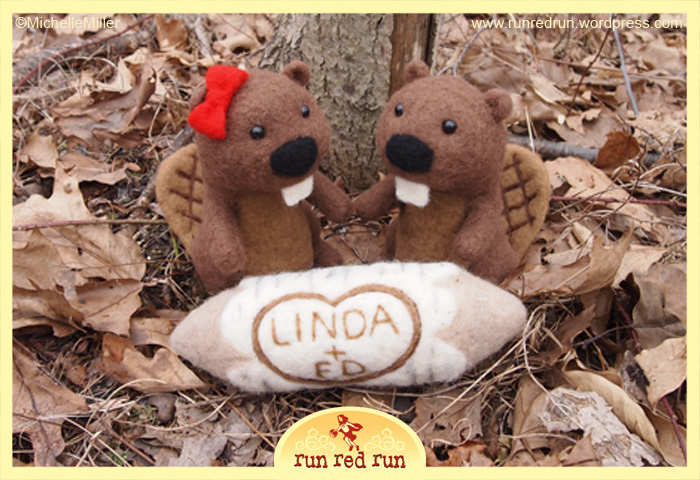 Two beavers, Linda & Ed (along with their own personalized birch log) designed as a centerpiece for a 40th wedding anniversary. I chose a more stylized, cartoony look for the figures and gave them shiny, plastic eyes, which catch the light nicely and add some life to their expressions. I used Felt Alive Wool, one of my favorite suppliers. I’ve found that the fibers are a perfect workable length and help create a firm surface with no pilling that still retains some softness. To me, it’s perfect for the pelt of a woodland creature. 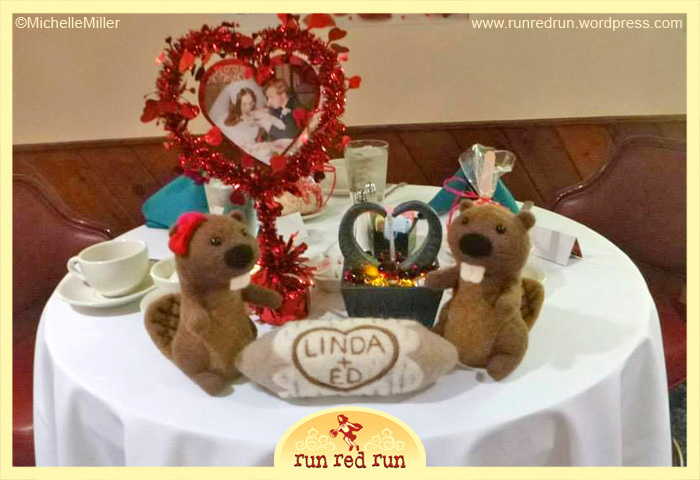 I had fun posing and photographing Linda & Ed Beaver in their “natural habitat” and my client was nice enough to send a photo from the Anniversary party as well. For even more images of this twosome, you can browse my gallery.